Tonalin® Toning formula derives its CLA from Safflower Oil and provides 2,000 mg CLA in each serving. As always, use with a reduced calorie diet and daily exercise program. It is important to check with your health care practitioner before beginning any diet and exercise program. DIRECTIONS: For adults, take two (2) softgels with your largest meal of the day. Take one (1) additional softgel with a second meal, for a total of three softgels daily. WARNING: Not intended for use by pregnant or nursing women. If you are taking any medications or have any medical condition, consult your doctor before use. Discontinue use and consult your doctor if any adverse reactions occur. Not intended for use by persons under the age of 18. Keep out of reach of children. Store at room temperature. Do not use if seal under cap is broken or missing. As always, use with a reduced calorie diet and daily exercise program. It is important to check with your health care practitioner before beginning any diet and exercise program. Tonalin® CLA 1,000mg is rated 4.5 out of 5 by 6. Rated 4 out of 5 by Waldemar from Well performing Very good, no ingestion or digestive problems as if today. Rated 5 out of 5 by LindseyD from CLA I really like this product. It's good quality and at a decent price. Rated 5 out of 5 by torogit0 from No Bloatness This one is the best CLA so far to me, I didn't feel any discomfort such as bloating or gas effects etc. I will probably continue using this to reach my goal. Rated 4 out of 5 by Edward from CLA Pills Super product with benefits of those who wants to tonify their body. Also helps support your dieting goals by helping to reduce calories excess in combination with daily exercise. Provide as well with a clean product with the necessary CLA mg your body needs. Rated 4 out of 5 by Nita from Seems to Work with other supplements I have never used Tonalin alone. I use it with Raspberry Ketones, Green Tea pills and Kidney Beans extract. 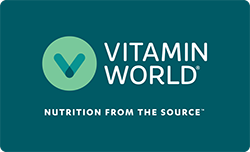 All are Vitamin World products. Collectively, they work well for me. The good thing is that they are all natural products. Rated 5 out of 5 by kay46 from great!!! I love this CLA,...I have tried others, but none compare to this. You can really notice a difference!